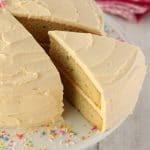 Light fluffy and delicious vegan vanilla cake! Two layers of vanilla sponge, topped with a velvety vegan vanilla frosting and fresh strawberries. 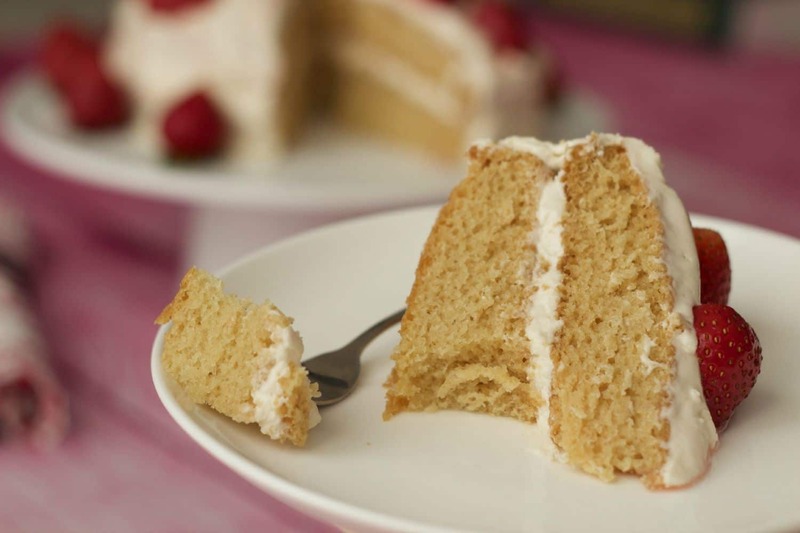 This vegan vanilla cake is light fluffy and dreamy! But what you’re going to like most about it is how EASY it is. I’m going to admit, I had to play around with this recipe for quite a bit before I got it right. The first time it was delicious, but I used a flax egg and while a flax egg is GREAT for most cakes, in the case of a vanilla cake when you want it to have the glorious light color, well….it didn’t work out so well. I ended up with a delicious cake that looked like a seed cake and nothing at all like a vanilla cake. The next time I tried it, it ended up way too dry, so I knew I needed to adjust the flour ratio. I’m happy to report that the recipe you see below delivers the ideal level of moistness and as you can see, the color is totally gorgeous! 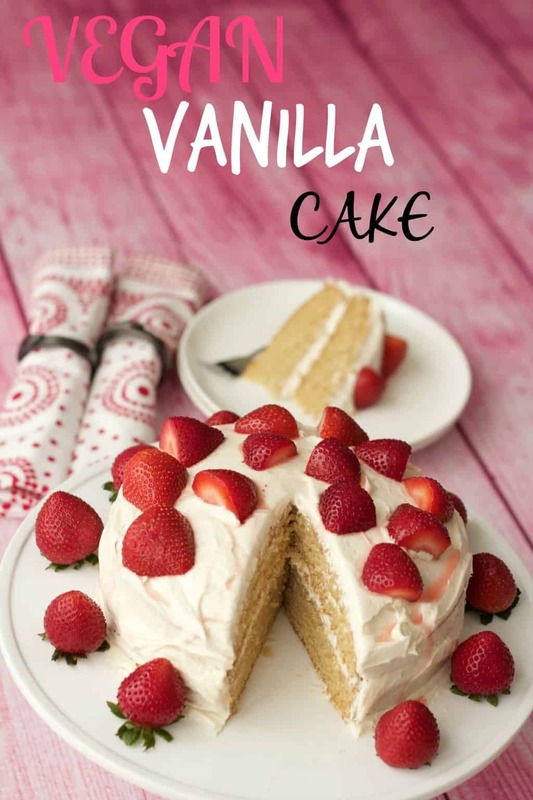 The vanilla flavor comes through perfectly, and by pairing it with vanilla frosting, you get yourself a whole lot of vanilla heaven going on! 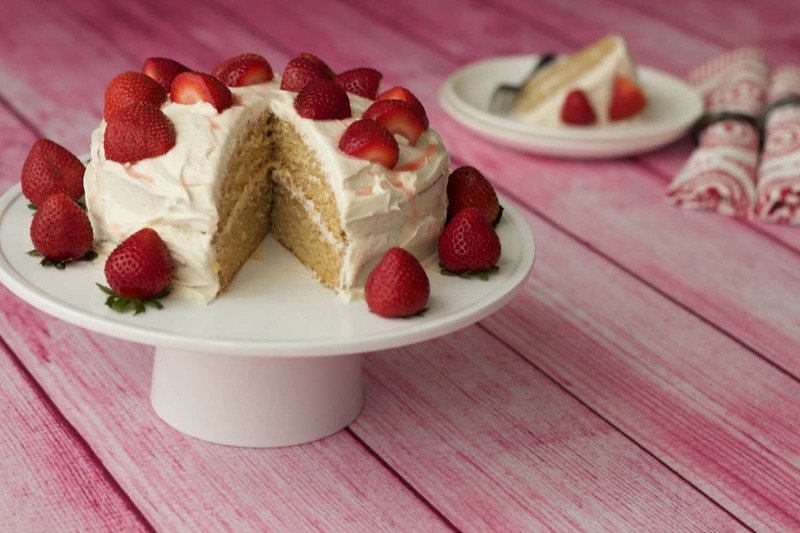 Strawberries on top add a dash of gorgeous color and offset the vanilla flavor just right. However, feel free to use whatever cake decorations you please. I love the fresh fruit, but of course it doesn’t keep. You also have the small problem of the strawberries running and making the cake soggy. So it really only works if you’re going to serve it within minutes of placing those strawberries on top. 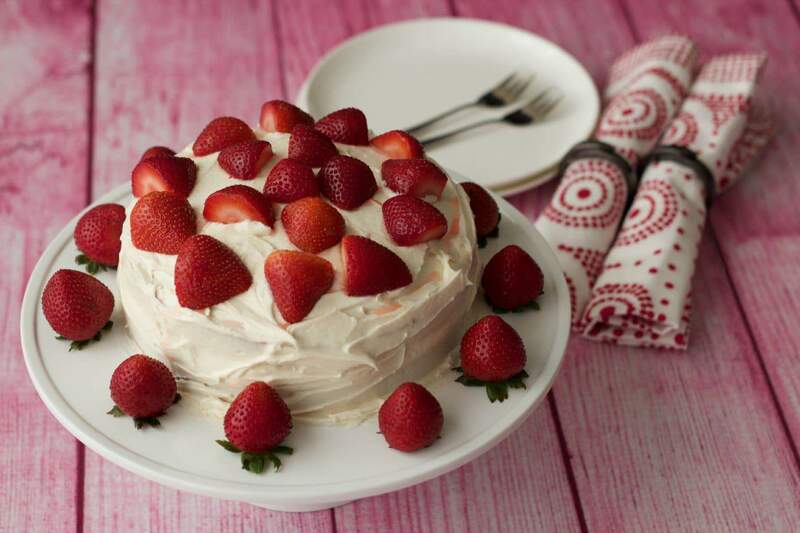 So if you’re going to keep the cake around for a few days, then choose a different decoration OR just add some sliced strawberries to the individual slices as you serve them. I made this with my niece when she came for a sleepover at her aunt and uncle’s house. Since vanilla is her favorite flavor for everything, she loved this cake. So seriously – this cake is easy enough that a kid can do it (with supervision, of course). Just a little note that this cake is quite a small petite cake! I used cake pans which are 7 inches round. The layers on this cake are not very tall, but I think it’s a perfect size and you get 10 nice sized slices out of it. If you want to adapt this cake to larger cake pan sizes, see our notes on how to do that below. Can I make this gluten-free? There are a few changes that are needed to make this cake really work great for gluten-free. We made the adaptations for gluten-free with our vegan gluten-free vanilla cupcakes and they came out beautifully. You can adapt that recipe from cupcakes to a layer cake (two 7″ layers) just like this one if you like. Can I make this in 8″ cake pans? 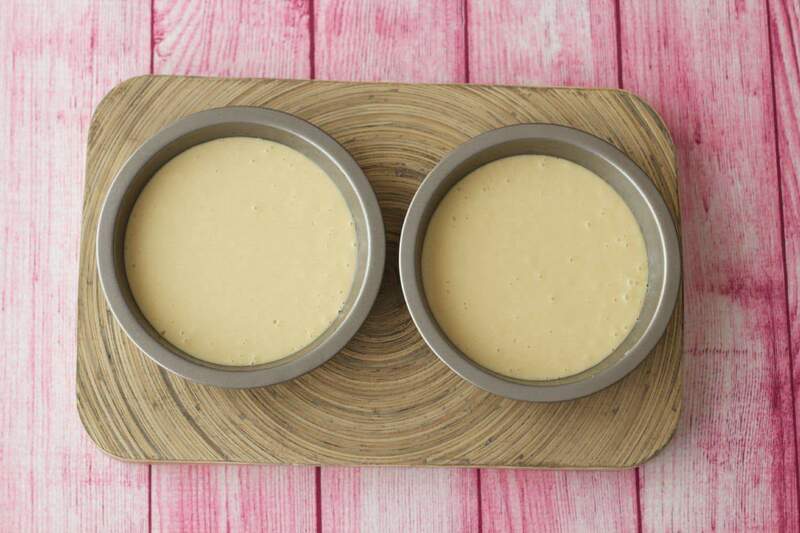 Yes, but because the maths can get a little tricky sometimes when you increase a recipe, I recommend you take a look at our vegan vanilla sheet cake recipe, that recipe adapts perfectly to two 8″ cake layers. Just bake it for 30 minutes instead of the shorter baking time recommended for a sheet cake. 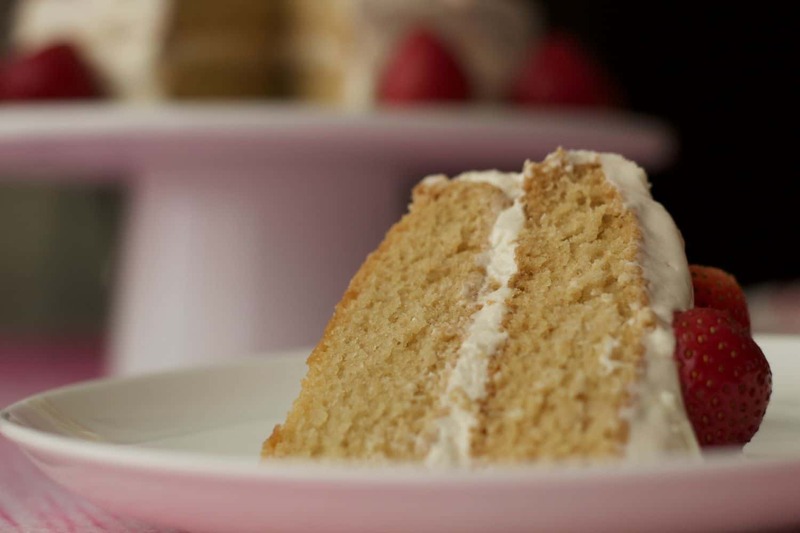 You can also take a look at our vegan white cake which is made for 8″ cake pans. That recipe was adapted from this one and is basically a perfect vanilla cake, just adapted to be a little more ‘white’ in color (to fit the ‘white cake’ description) and to be 8-inches. Can I make this in 9″ cake pans? This exact recipe will make a single layer 9″ cake. 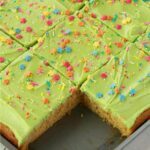 So if you want to make a single layer cake, you can make this vegan vanilla cake recipe exactly as is, but just have a single layer instead of a 2-layer cake. We did this for our vegan pineapple upside down cake. Alternatively, you can double this recipe for a 9″ cake with two layers. I have included the exact measures for doubling this recipe in the notes section of the recipe card below. Can I make this into a bundt cake? Some have done it, if you read the comments below, it has been done. I don’t have a bundt cake pan so I haven’t got personal experience with that (yet!). Can I make cupcakes from this recipe? Yes you can! We have already done it, check out our recipe for vegan vanilla cupcakes, which is adapted from this recipe. Frosted with velvety vanilla frosting! Keep it covered at room temperature where it will stay perfectly fresh for a few days or keep it covered in the fridge to stay good for up to a week. 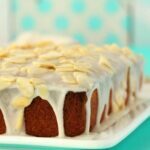 Vegan Banana Cake – a 9×13 sheet cake or an 8-inch two-layer cake, it’s up to you! If you make this cake (and I hope you do!) then please let us know how it goes by rating the recipe and leaving a comment. It’s so helpful and we love to hear how it worked out for you. Thanks so much. And sign up to our email list for a gorgeous (and free) recipe ebook containing 10 delicious vegan dinner recipes and you’ll also stay updated with all our latest recipes. Light fluffy and delicious vegan vanilla cake! Two layers of vanilla sponge, topped with a velvety vegan vanilla frosting and fresh strawberries. Ideal for special occasions. 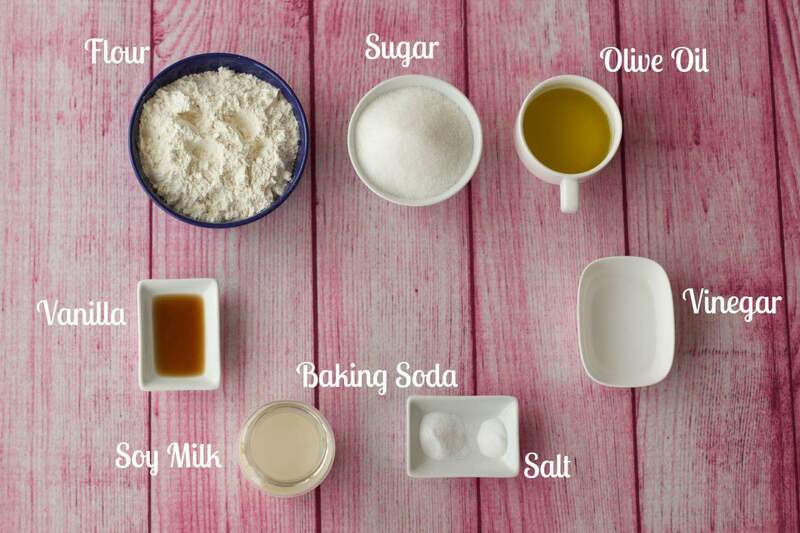 Add the sugar, baking soda and salt and mix together. Add the soy milk, vanilla, oil and vinegar and give it a quick whisk with a hand whisk until just combined. Grease two 7 inch round cake tins with coconut oil (or spray with non-stick spray) and cut parchment paper into circles to fit the bottoms. Divide the batter evenly between them. Remove from the oven and using a toothpick, insert into the center of the cake. If it comes out clean then your cake is done. Move to a cooling rack to cool completely. Add the powdered sugar, vegan butter, vanilla and half of the soy milk. Beginning on low speed, mix with an electric mixer, slowly increasing speed. Add the rest of the soy milk, only as much as needed until it is smooth and creamy. If your vegan butter has a higher water content, you may not need to use all of the soy milk. If your frosting is still a little thin, add more powdered sugar, if it’s a little thick, add more soy milk (a drop at a time). The consistency must be thick enough that it doesn’t slide off the cake, but thin enough to be spreadable. When your cake is completely cool, add frosting to the top of one of the layers. Add the second layer on top and frost it completely, using a knife to carefully frost the sides of the cake. 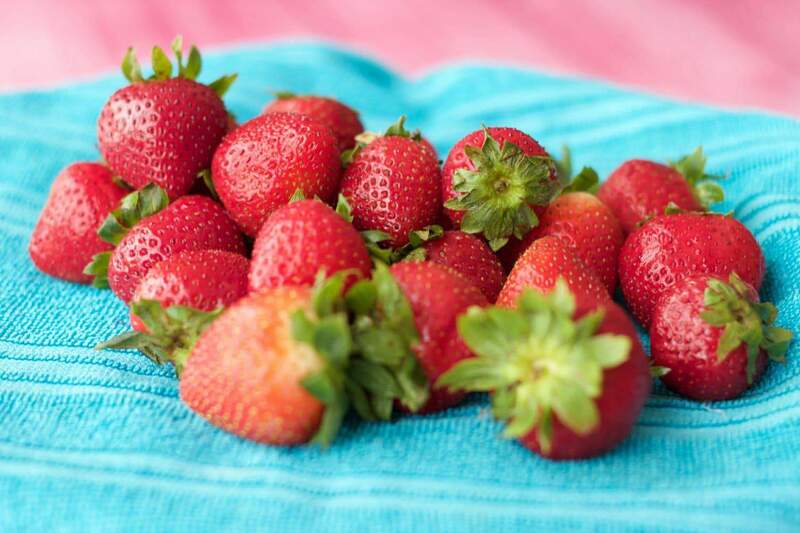 Decorate with fresh strawberries and serve right away. 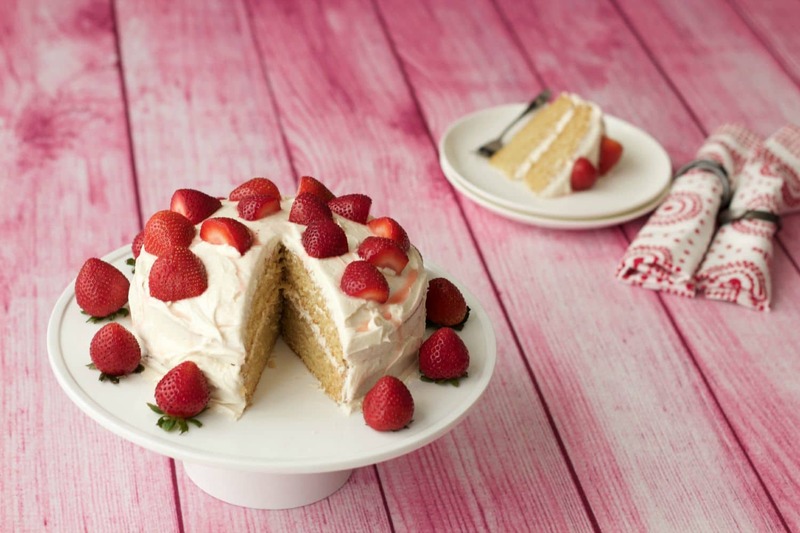 If you’re not serving right away, then omit the strawberries or serve them on a plate alongside the cake, so it doesn’t get soggy. *I highly recommend you weigh the flour for the best results. Flour measures can be tricky, so weighing it on a food scale is the best way to ensure accuracy. *The cake tins used in this recipe are 7 inches round. 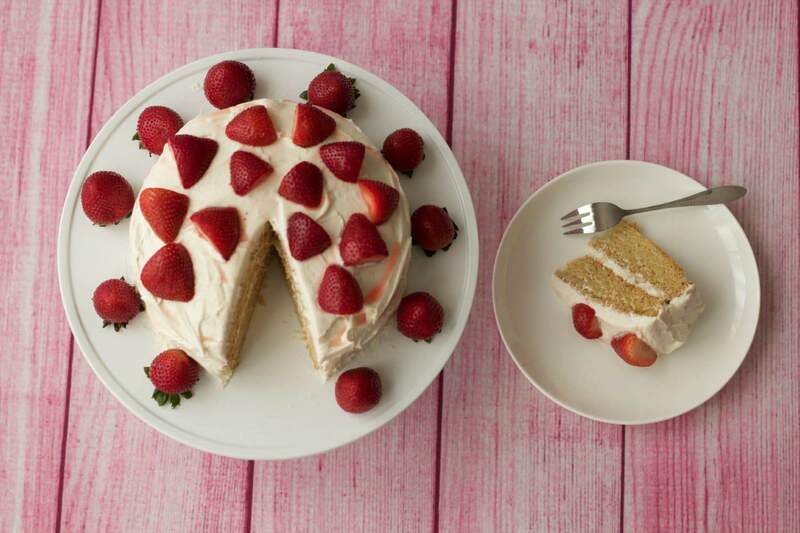 If you want to make this cake for 8-inch cake pans, see our vegan white cake recipe which is an 8-inch cake or our vegan vanilla sheet cake which adapts perfectly to two 8-inch cake layers. If you want to adapt it to 9-inch cake pans see our full instructions below. *If you want to double this recipe for a 9-inch layer cake, then the ingredients list will be as follows: 3 and 1/2 cups (438g) All Purpose Flour, 2 cups (400g) White Sugar, 2 tsp Baking Soda, 1 tsp Salt, 2 cups (480ml) Soy Milk, 4 tsp Vanilla Extract, 2/3 cup (160ml) Extra Virgin Olive Oil or Canola Oil, 2 Tbsp White Vinegar. Everything else including baking times, remains the same. The frosting as listed in the recipe above will be enough to spread generously onto the top and middle of a 9-inch layer cake but not enough to frost the sides as well. 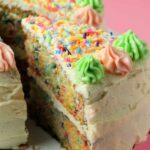 Take a look at our vegan buttercream frosting recipe which is enough to frost this whole cake when made as a two layer 9-inch cake. 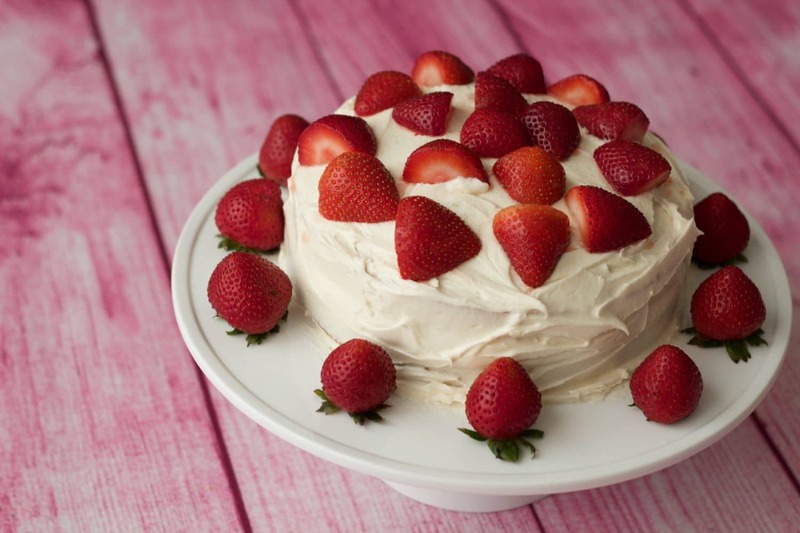 *Only add fresh strawberries to this cake if you’re going to be eating it right away. 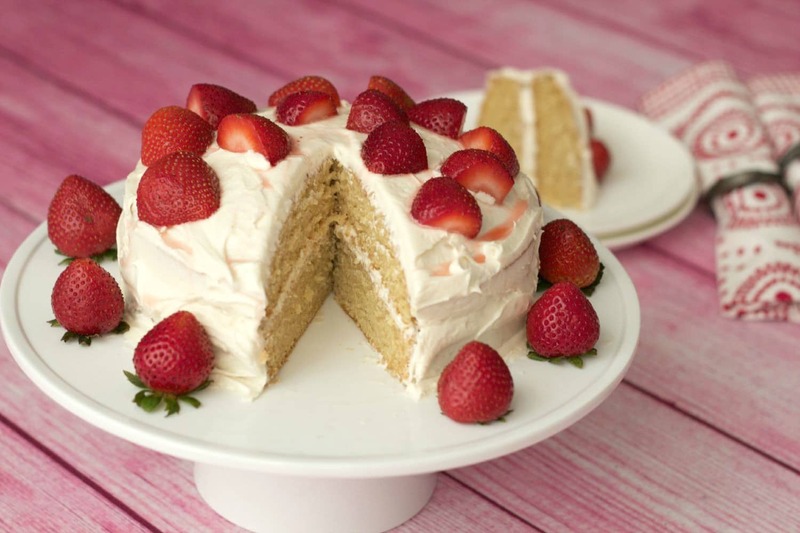 The strawberries are a fabulous addition to the flavor of this cake, BUT they run and can cause sogginess. 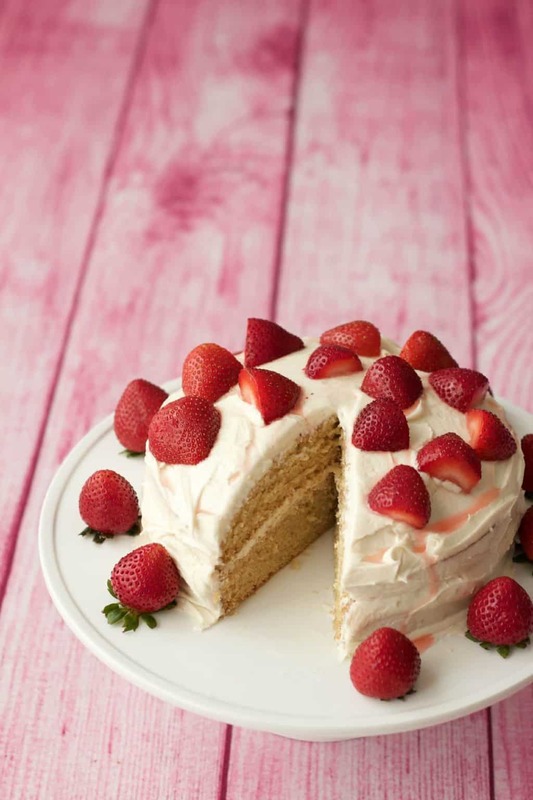 So if you are keeping this cake for a few days, then either don’t use strawberries at all or just add some strawberry slices directly to the individual cake slices when served. *Nutrition information is based on 1 serve of 10 with a very generous amount of vanilla frosting. *Vanilla Frosting is from this recipe. Fingers crossed that this turns out. I made this recipe last year for my son’s birthday and am attempting it again this year. However, I really don’t remember the batter being this thick!! His party is tomorrow and I basically have one shot at making this. Was the batter really thick ? No, it’s not super thick at all, you can see the consistency in the video. Hi Alison! I tried making this recipe but it came out drier than I expected, even after I added more soy milk to the batter.How can prevent dryness? Hi Sue, it is definitely not supposed to be dry at all, I really recommend weighing your flour as accidentally using too much flour is my guess for why it came out dry. Just made this and it is amazing! Best vegan cake recipe i have tried to date. Thanks! 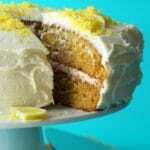 Could the vanilla cake recipe be made using gluten free flour? Hi Lisa, yes, this recipe has been adapted for gluten-free, I did it in the form of gluten-free vanilla cupcakes, but it could definitely also work for a 2-layer 7 inch cake. Hi Alison, I made the cake putting it into a 9 inch. It came out flat. I cooked it in the top oven. I put a tiny bit less sugar. Do you mean you made it a single layer cake? It should cook in the middle shelf of the oven, using a little less sugar shouldn’t have caused it to be flat. I’m not sure what else might have happened. Can i use sunflower oil instead of olive oil? I love this recipe. I enjoy to cook, but baking not so much. I hate that vegan cake recipes are sometimes so complex. What exactly is Agar Agar? Why do I need it in a cake? This is delicious and simple. Haha, so happy you like the recipe Theresa and I totally agree, vegan cake recipes can be so simple so they should be! I’m super excited. Tomorrow is Christmas and I have a few vegan guest coming over for dinner. We are not vegan but we don’t eat meat so my dinner is already about 95% Vegan aside from Parmesan cheese here and butter there. But I do have some all vegan dishes. I decided to search online for an all vegan cake recipe and came across this one. It’s baking now and the frosting is ready. I’ve already allowed my daughter and hubby to lick the bowl and the mixtures for both are wonderful. Can’t wait to taste the final product! Yay and thank you for creating this recipe! I didn’t tweek anything. I made it to the T! I only have one 9” cake pan (I then plan to cut the cake in half to make two layers) — how would I adjust the baking time and/or baking temperature? Thanks! This recipe as is will only make a single layer 9-inch cake. It will be fine as a single layer but too thin if you cut it in half. 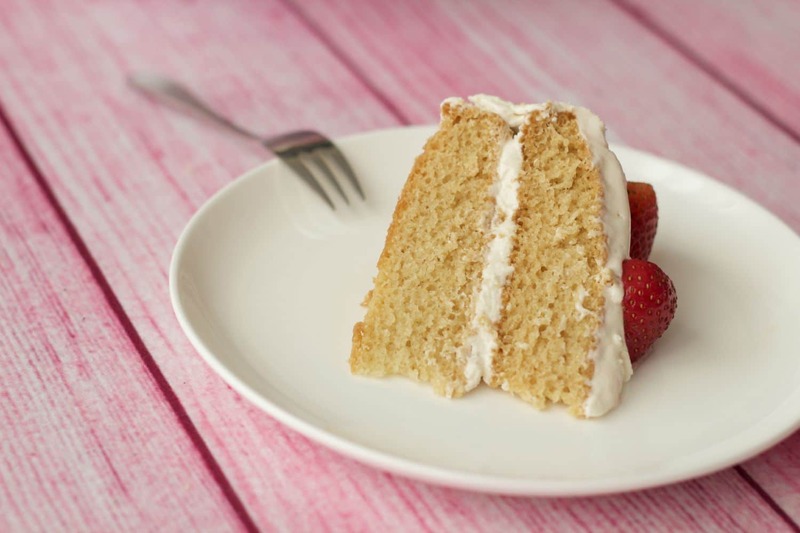 Rather take a look at our vegan white cake which can be made in 9-inch pans. Can you swap the soy milk for coconut milk? since coconut milk is so full of fat i have no idea if it will affect the recipe. Thanks for sharing this recipe! You can use it, it will be fine. If I have vegan kefir to sub for the soy milk should I reduce the vinegar down or omit it ? Hi Pamela, I don’t have any experience with using vegan kefir so really not sure what impact that has. Normally I don´t eat cakes this rich – because of that I personally would have liked a little bit less frosting on it. The sugar content is very high, so we couldn´t eat all of it at once ;-). I made a smaller cake of 12cm, so I reduced the ingredients (x0,44). This worked well for me. This came out beautifully! Thank you so much for posting this. I doubled it and did 9” pans and filled it with raspberry filling. Only the 2nd scratch cake recipe without eggs and milk that I have made that worked out. It rose beautifully and did not stick to the pan and it was so moist. My allergic son was thrilled. Thank you! Today I made a practice run of cupcakes from your recipe–we are choosing a vegan birthday cake for our daughter’s first birthday. Just wanted to tell you that they are outstanding and we can’t wait to try all the variations, and some other recipes from your blog! This recipe is sick yo. I’ve been vegan for maybe a year now and this is I think the only (vegan) recipe I’ve looked up and actually made. Most of the time I just eat the lowest effort stuff possible like raw carrots, or black beans and hot sauce on a slice of toast. I think I don’t ever really look for recipes because though I like to cook and bake, I don’t actually care that much to vary what I eat to any substantial degree. And I like how this is just a simple recipe. I’ve tried this recipe 10 times. But most of the times, cake comes out chewy and sticks to the pallet. What can be the problem? Please guide. Hi there! Just curious, I have to use coconut flour, do I use the same amount or do I divide the amount of flour and only use 20%? (This is what the box says) thank you! Hi Sue, this is all discussed in the post. 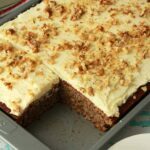 Hello, I am new to vegan baking and tried this recipe and it tasted very salty to me…is that normal and just something my palate needs to get use to? I was thinking I put too much flour at first but I did weigh it and follow the recipe exactly besides using almond milk and vegetable oil. The cake itself turned out so light and fluffy! Any suggestions?